I recently came across a company called "Knit Outta The Box," and while I don't normally talk about this kind of thing, this time I have free stuff to give away, which makes me feel all powerful and generous and queenly--and there's the added bonus of how I think the company's really cool. 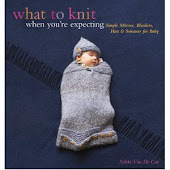 They put together "knitting kits for the desperate knitter," for all those times when you really really need something to knit and you want to just have it all together and not have to worry about it. (Like airplane rides. Or my doctor's office. Or Toddler Tantrum Time). And the kits are fantastic--there's the iMitt, which I think I'll have to make for Toaster sooner rather than later, and my personal favorite, the Wellie Warmers. And the kits themselves come in these delightful little packages, with everything you'd possibly need--depending on the pattern, you get a canvas project bag, simple knitting instructions and an easy-to-read pattern, a darning needle and a threading tool (which is particularly great for me, since I always lose mine and always always need them). And all the materials earth-friendly and socially conscious. If you'd like a little starter kit for your very own, leave a comment here, or use the neato widget below, before February 14th, and you will receive a Hugs and Kisses Bracelet Knitting Kit. Happy Valentine's Day from Knit Outta the Box and Queen Nikki! Oh my gosh this is the perfect thing for those times where I am in between projects and am banging my head against the wall. Oh yes, I'm entering! It'll be neat to win something. It looks very delicious - I am in! Thanks for your royal generosity! I would love to get this kit. Sounds like a good company. I'll be checking them out. Thanks for sharing! Ah here goes! I'm not sure I will qualify, being the other side of the pond an' all, but worth a try considering I'm constantly reading your blog anyway! Best wishes. How wonderful! This sounds like the perfect remedy to long train rides out to Brooklyn from Washington Heights. Thank you!! have you seen their stoneware yarn bowl?! soooo awesome! 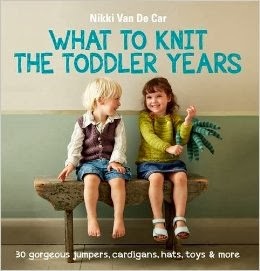 Well I like freebies, and I like knitting, and I like your blog--so this is worth a comment! Thanks Queen N! Wow, I love it! What a great idea, wish I had thought of it. Cool giveaway! I could really use some wellie warmers!